Pets are legally considered property, but any pet owner will say that pets are so much more than something they own. Pets are loyal companions and are often considered part of the family. Because of this special bond people have with their pets, it is important that pet owners consider the future of their pets while planning their estate. While there are several estate planning tools available to protect various assets of an individual’s estate, pet trusts are ideal for ensuring that pets are cared for when pet owners are unable to do so themselves. A pet trust operates similarly to any other trust. Pet owners and their attorneys create the trust, provide funding, and name a guardian who will be responsible for the pet in the event of the pet owner’s incapacitation. The guardian selected in a pet trust can be an individual or an organization. The pet trust details how the pet should be cared for, how often they should be fed, how often they should be walked, which veterinarian should be used, etc. When is a pet trust useful? Home emergencies – If a pet owner’s house burns down or is destroyed by some other natural disaster, pets may be displaced. Displaced pets are often picked up by rescue centers and adopted out to new owners. Without any legal protections, there is usually nothing pet owners can do to retrieve their pets after this happens. Medical emergencies – Even young, healthy pet owners may have medical emergencies such as becoming injured in a car accident. When a pet owner is in the hospital, a pet trust can ensure that there is someone to give pets the care they are accustomed to. Family emergencies – If a close family member becomes ill and a pet owner has to dedicate lots of time and resources to care for them, a pet trust can be utilized to give pets the attention that the owner cannot give them while caring for others. Divorce – A divorce or other change in a family’s makeup can affect a pet’s care. A pet trust can guarantee that if the pet is temporarily separated from its owner, it can receive the same level of care and affection that it gets at home. Death or Incapacitation – The last thing people want to consider when it comes to pets is the death or incapacitation of the owner. But, unless pets are provided for by a trust, there is no guarantee that they will be well cared for in the event that the owner dies or is put into a nursing home. Some pet owners even provide that in the event of incapacitation, the pet must be permitted to stay with the owners for a predetermined amount of time. How is a pet trust created? A pet trust can be created by a qualified estate planning attorney. An attorney who is experienced with pet trusts will ask you the details about your pet, including their appearance, how they are taken care of, their age, any medications they take, etc. All the details regarding how the pet is taken care of will be put into the trust, funding will be established, and a guardian will be named. Once this document is created, it becomes a legally operative document – meaning that its provisions are binding. Can’t the pet be provided for in a will? Wills do not guarantee that pets will be cared for. Even though a person can state who they want the pet to be given to upon death, this does not mean that the pet will be taken care of by the new owner. 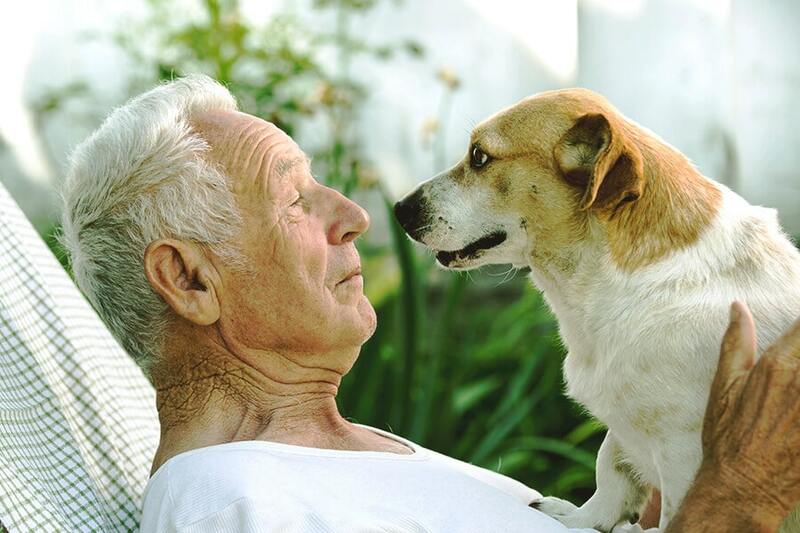 A will cannot force someone to provide long term care for a pet. It only provides who will own the pet after the death of the current owner. Gifts under a will can be refused. Everyone wants to believe that family members will understand how important the pet was to its previous owner, and that they will be happy to take care of it as the owner would have preferred. The fact is, the person who gets the pet under a will can simply say “no.” There is no legal obligation to take a gift that is given under a will. Pets passed by a will can end up in a shelter. Once property is passed through a will, it legally belongs to the beneficiary of the will. Since pets are property under the law, the person who gets the pet through the will is the legal owner. They have the right to take the pet to a shelter, give it to a new owner, etc. Since wills do not offer any real protection to pets, it is advisable to get a pet trust. With a pet trust, the owner can ensure that their pet is taken care of in a variety of situations. Pets are such a big part of our lives; they are not something that should be left out of planning for the future. Contact Sue Sandys, to set up a consultation to discuss how your pet can be provided for when life changes.